James Murdoch, 46, one of the six children of business mogul Rupert Murdoch, is planning to follow in the footsteps of his father. Just…not exactly in the same way. James Murdoch, rather than investing in conservative media ventures like his father was well-known for, plans to go the opposite direction, according to the Financial Times, investing up to $1 billion in media projects, many which are liberal-leaning. Murdoch’s investment seems to be a purposeful deviation away from his father’s legacy of backing and establishing conservative media, according to further reporting from the New York Daily News. The elder Murdoch owned several ventures around the globe, including News Corp and Fox News. Rupert Murdoch transitioned away from the companies he managed and established, putting his children in charge of those properties in more recent years. In 2019, most of 21st Century Fox was sold to Disney. 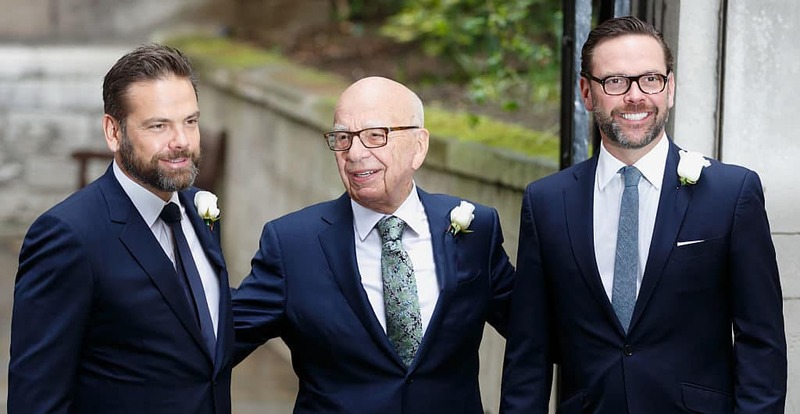 James Murdoch has yet to figure out which media companies he wants to invest in, but he will have plenty of money still left in the bank after he makes his billion-dollar investment, whichever way he goes. According to Deadline, Murdoch earned more than $2.2 billion from the sale of his father’s company 21st Century Fox earlier this year. Murdoch seems to be “all in” when it comes to making a push to the left. He’s even donated to progressive candidates running for president, including making a $2,800 donation, the maximum amount an individual can give to a person running for federal office, to Democratic presidential candidate Pete Buttigieg. Beyond liberal media, Murdoch has interests in emerging tech companies, ventures in India, and digital media. He’s also in the process of buying comic book publishing company Artists, Writers and Artisans, the Wall Street Journal reported. “The value of storytelling is only going up, and AWA is uniquely positioned to create a tremendous platform for writers and artists,” Murdoch said.